Curtin University is a global university, with campuses in Singapore, Australia, Malaysia, Dubai and Mauritius. Studying at Curtin Singapore means getting a leading education in an exciting and modern setting while enjoying great quality of life in one of the safest cities in the world, not to mention the numerous career opportunities available upon graduation. Curtin’s alumni community consists of over 220,000 talented and inspirational alumni worldwide, including over 17,000 in Singapore. Curtin Singapore offers a starting point for everyone, delivering a range of pathway, undergraduate and postgraduate programs. There are a number of different ways to gain entry into Curtin. If you have completed your Year 11 education, you may want to consider taking a Curtin College diploma program which will allow you to fast-track into a bachelor’s degree program. Find out more about our diploma programs here. Completed your Year 12 education? 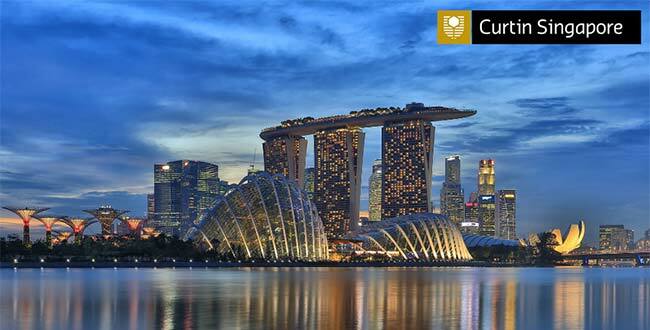 You may apply to study a range of business and mass communication programs at Curtin Singapore. Find out more about our 2 years bachelor programs here. Step up your game and enhance your employability with a 1 year master degree. Find out more about our business master’s degree programs here. Have any questions about courses, admission criteria, or anything else Curtin Singapore related? We can answer it. Ask here.